And yet travel managers the world over are quite comfortable promoting the Nickels and Dimes program, and senior managers believe it is the right way to manage their travel budgets. But new evidence challenges the status quo. It shows the negative costs associated with a Nickels and Dimes program. 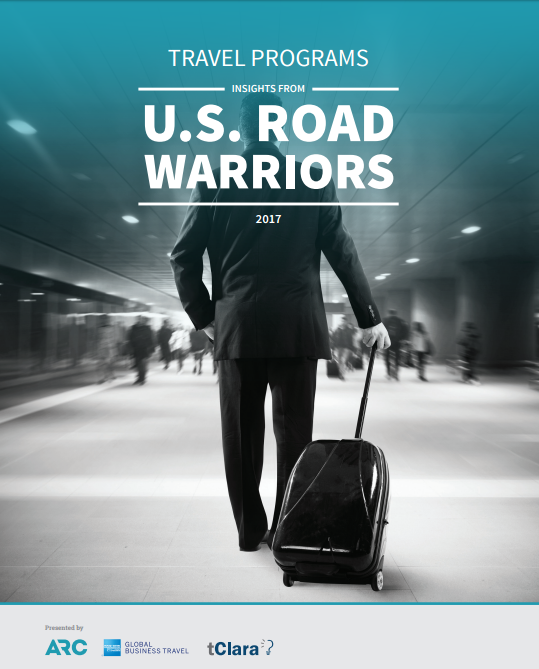 Here’s the proof: Travel Programs – Insights from US Road Warriors – 2017 It’s a quick read at 6 pages. ARC, GBT and tClara sponsored this research into this hugely important issue of how travel programs affect road warriors and the impact of their trips. The results are really clear. Travelers managed under cost-focused travel policies, like the Nickels and Dimes example, produce significantly worse business outcomes. Surely these programs are cheaper on the travel budget, but at what larger cost to the business? If you are a travel manager or procurement buyer, you owe it to yourself and your company to take a fresh look at what type of business results your travel program could be delivering. Let me know if you’d like to chat about how to get started. It’s a pretty easy path forward. This entry was posted in Travel Management, Travel Policy, Trip Friction and tagged road warrior, travel burnout, traveler research. Bookmark the permalink. 2 Responses to Let’s Buy Less Effective Trips! In my experience in the travel industy and the corporate clients have moved directionally to a procurement point of view of cost reduction. We have seen a evolution of at least the some companies putting an emphasis on duty of care. As a consultant, I have had clients tell me that savings from a specific procurement project is not looked upon as real money. For travel friction that would be even a more challenging to prove a specific amount of money saved. Unfortunately the reality is that in both of those cases the money is absolutely real from the moment changes are implemented and into the future as the new policies are maintained. I had one client call it funny money, it’s not funny it’s real. I personally have experience over the years watching and traveling the impact of being a road warrior. This article does an outstanding job in pointing out the financial loss to the companies and the negative physical and mental impact to the traveler. Procurement can have their cake and eat it too. Sourcing to reduce costs and improve traveler satisfaction can and should be related. When sourcing corporations should leaning towards more comfort and safety for their employees but at the same time driving down cost. An example in the car rental industry, one company decided for safety reasons to put their travelers in larger cars which provided more leg room, more comfort, more luggage room and those cars were safer. They drove the price of the larger vehicle down to the smaller car which was successful. All good points, Dave – thanks for sharing! I’d like to get procurement buyers to take a broader view of their mission by looking at the bigger impact of business travel. As you know from your experience in the ground transport business, fleets are bought on a total cost basis – never just the sticker price. Travel buyers should be credited with improvements in retention rates, time needed to fill road warrior jobs, traveler health and safety, and most importantly, a reduction in the trip scrap rate. For my friends who don’t know that term, it means the percentage of trips rated in hindsight by the traveler to be not worthwhile. By the way, the average trip scrap rate is about 12%. It’s about 19% for travelers managed under cost-focused policies. Seems like a pretty important metric for measuring the success of a travel program, doesn’t it?